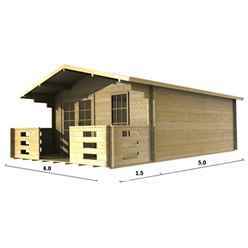 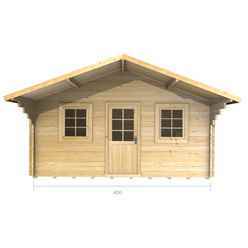 Our extensive range of 4.0 m 13' Wide Log Cabins at the cheapest prices online! 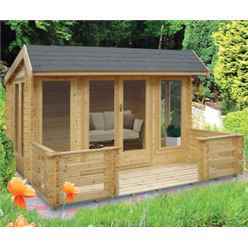 Our log cabins can be used for a wide variety of uses within your garden. 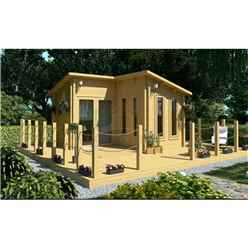 They can be used as; a garden family room where your family can enjoy a summer evenings meal together; a home office for you to run your business from; a games room for your children; an ideal space for a hot-tub or just a place for you to escape to read your favourite novel in peace and quiet. 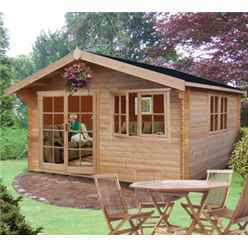 The Relax Traditional Log Cabin range is designed around the feel of a Scandinavian style log cabin to add a touch of quality to your garden. 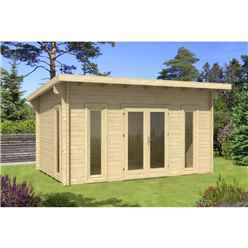 All the Relax Log-Cabins can be amended to cater for your requests and we offer a bespoke service on all our Relax Log Cabin range which means that we can supply any style of size of cabin you may be looking for. 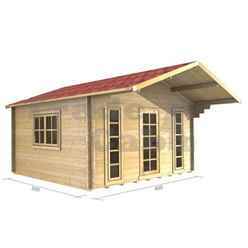 Just get in touch and we will give you our best quote. 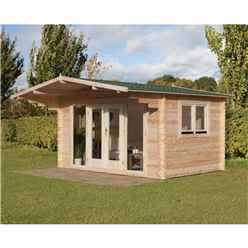 Our range of log-cabins are ideal for family members who undertake creative artistic pursuits, such as drawing, playing an instrument (like the drums or trumpet). 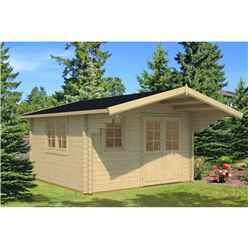 With the traditional log cabin providing a perfect setting for these activities, away from the main house, where an instrument can be played without disturbing others or an artist can find the peace required to paint and draw. 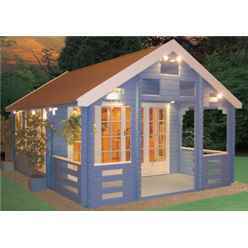 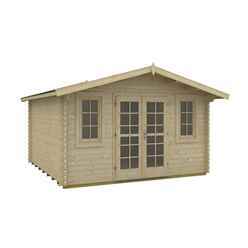 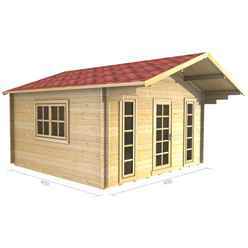 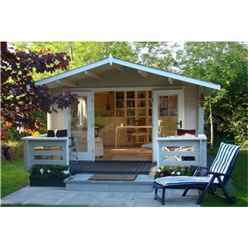 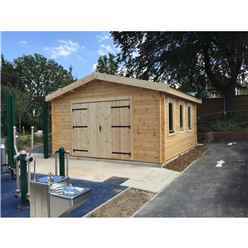 Our range of Home Office Log Cabins are ideal for a garden office. 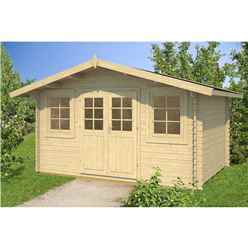 If you are starting your own business or work at home then the Home Office Log Cabin provides you with a great office space at the fraction of the cost of renting a traditional office space. 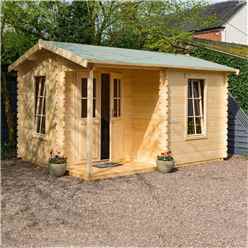 Our Home office range starts with the 10ft x 8ft Stowe Brunswick Log Cabin (2.99m x 2.39m) - 28mm Wall Thickness available in a number of different sizes. 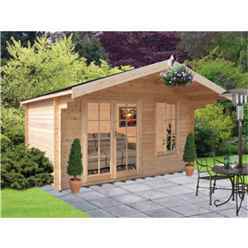 A corner log cabin is a perfect way to put to use the corners of your garden. 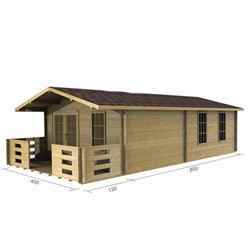 We provide a range of corner log-cabins which will fit the perfect space especially for those with limited space. 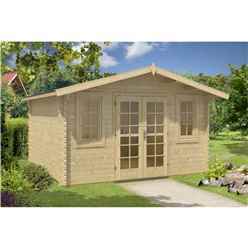 The Corner Log Cabin range begins with the 8ft x 8ft (2.5m x 2.5m) CHABLE Log Cabin (base price 34mm) which can fit into the corner of a garden, yet still provides a garden room large enough to relax in. 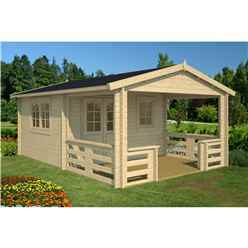 This Corner Log Cabin is also available in a number of other sizes at request, offering you even more space to sit and enjoy being in your garden. 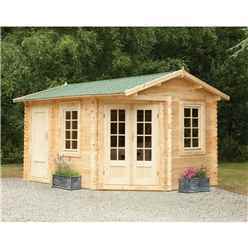 Further up the range, we offer the17ft x 10ft (5m x 3m) ASPEN PLUS Corner Log Cabin with FREE Felt, which is a 5m x 3m corner log cabin that includes a side shed within its structure for additional storage capacity. 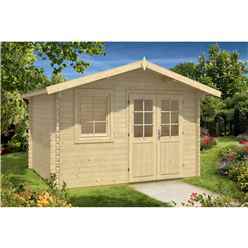 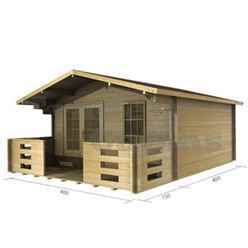 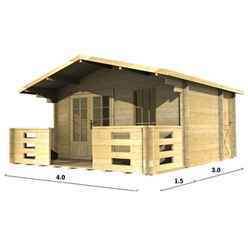 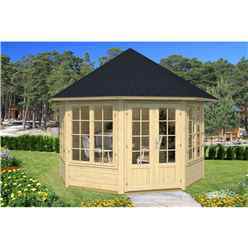 This Corner Log Cabin with side shed can be built either left- or right- facing depending on the layout of your garden – simply select which you require on the product page. 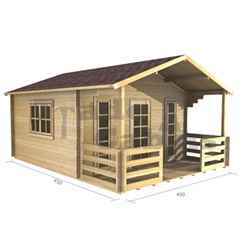 The pinnacle of the Corner Log Cabin range is the 17ft x 10ft (5m x 3m) ASPEN GRANDE Corner Log Cabin with FREE Felt, which is the same 5m x 3m base as the Corner Lodge, but without the side shed partition, meaning that there is more than enough space to use your log cabin as a luxurious summer house, home office or gym. 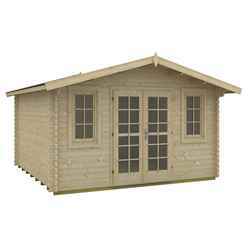 If you are looking for a secure garage then consider our range of log-cabin garages. 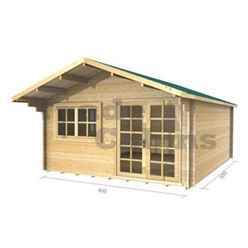 Our log-cabins garages are constructed from 44mm tongue and groove cladding. 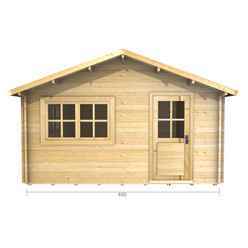 The tongue and groove joints and wind-tight chalet connections ensure that the Log Cabin Garage can withstand strong winds and poor weather conditions, whilst the door handle cylinder lock provides you with garage security. 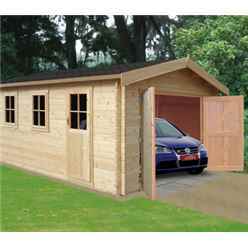 The wide doors allow easy access for most family sized vehicles and provide ample room on either side of your car.